When Chris was five years old, his grandfather introduced him to the acoustic steel string guitar. His grandfather taught him a few chords and the melody to "Ghost Riders in the Sky". From that point forward Chris' life was altered, he was addicted and dedicated to music and the guitar. That has never changed. 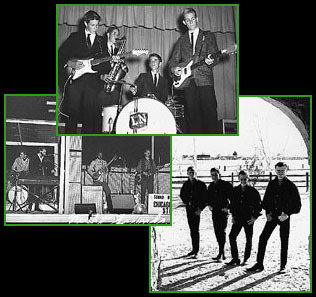 After playing in several Jr. High and High School bands in California, Chris started his professional career in 1966 as a full time performing musician in Tucson, Arizona. The Night Sounds were a four piece band specializing in rock and R&B. Chris performed with that group through the beginning of 1968. During that time they released two singles, were the opening act for the rock groups "The Doors" and "The Rascals", and toured the south west extensively. Chris then performed with another R&B group, The Rick Durham Band, which was touring out of Littlerock, AR. He spent 4 months on the road working with that group. During that period he had the opportunity to open for the "Rolling Stones" in Los Angeles at a concert MC'ed by the legendary DJ, "Wolfman Jack". After serving in the Army, Chris returned to Tucson. At that time he became content to play fingerstyle guitar recreationally for his own enjoyment. After about seven years, Chris became active in performing again. This time playing bluegrass music on a 5-string banjo. Chris and his wife, Ann, relocated to Southern California in 1980. In 1981 Chris started a bluegrass band with mandolinist Peter Lauderbach. (Pete can be heard on Chris' second album, "The Gael"). He also began teaching the 5 string banjo and guitar at a local music store. Chris became interested in, and involved with banjo competition. In 1983 Chris won First Place in Intermediate Bluegrass Banjo, and in 1985 First Place in Advanced Bluegrass Banjo. Both at the Julian Bluegrass Festival (The New Expressions' Guitar, Banjo and Fiddle Contest). 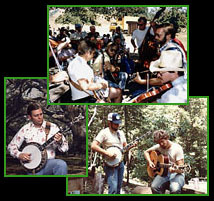 During those years, that festival would generally draw an audience of approximately 6,000 Bluegrass fans. For the next 10 years Chris performed only occasionally. His efforts were concentrated towards the study of Scottish and Irish music . In January 1996 Chris started performing Scottish and Irish traditional and contemporary folk music on solo fingerstyle guitar. His performances began as an occasional gig at a record store or wedding, and escalated to being booked as the opening act for the Celtic group "Skyedance". Since then, Chris has toured extensively and performed at a varity of venues, including shows with Dan Crary, Alasdair Fraser, Men of Worth, The Wicked Tinkers, Skyedance, Brian Baynes, etc. 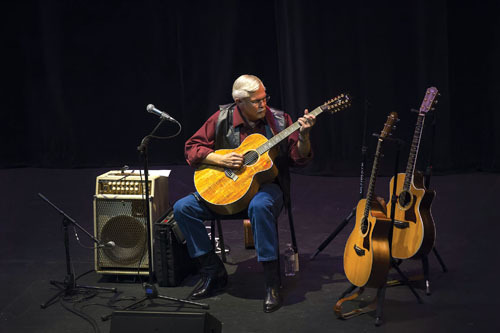 Over the last several years Chris has added American traditional and contemporary folk music to his shows, as well as adding 12 string guitar. With the encouragement of friends Jimmy Keigher and Donnie MacDonnald (Men of Worth), Scottish singer/songwriter Dougie MacLean, guitarist/recording artist Edgar Cruz, and Johnny Cash/Ricky Skaggs guitarist Jim Soldi, Chris released his first solo album of Celtic instrumental music, "Highland Heritage", in September 2000 on the Cairney Hill Music label. His second album, "The Gael", was released in June 2002. Chris' third album "Celtic Journey" was released January 16, 2006. A single, "Last of the Mohicans/The Gael", off of his fourth album was released for mp3 distribution in December 2010. The fourth album, "Shenandoah" was released in August 2013.Chris' music has also been released on multiple compilation albums in Italy, the U.S., and Japan. Throughout the years Chris' performance venues have included PBS/NPR, Commercial Radio, Celtic and Folk Festivals, Performing Arts Centers, Arts-In-Schools Programs, Corporate Events, and Resorts ....... just to mention a few.